Sarah is a graduate of the University of Wollongong, Bachelor of Performance – Acting. Since graduating, her theatre credits include: You Got Older (Mad March Hare Theatre Co. dir. Claudia Barrie) The Wolves (Redline Productions dir. Jessica Arthur), Dry Land (Mad March Hare Theatre Co. and Outhouse Theatre Co. dir. Claudia Barrie), The Laden Table (bAKEHOUSE Theatre Co. dir. 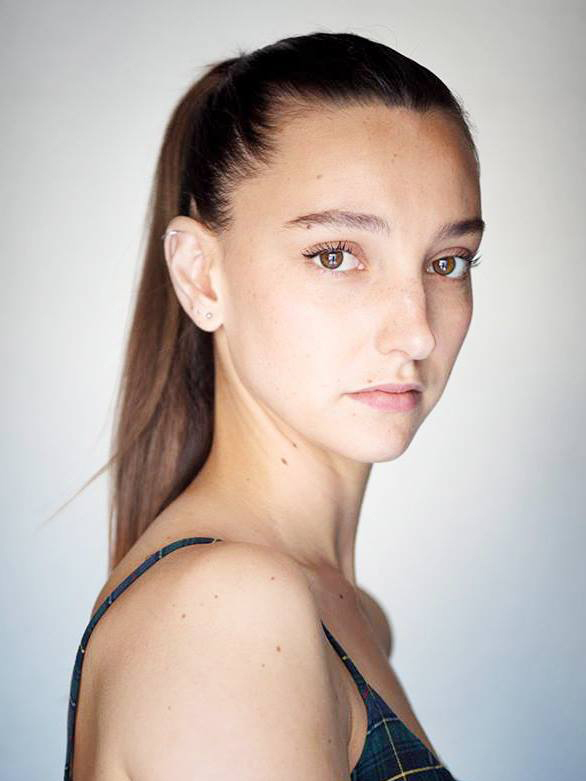 Suzanne Millar), All Good Things (ATYP dir. Iain Sinclair) and Phedre (touring the Asia-Pacific Bureau Directors’ Conference and Theatre Festival in Shanghai). In 2018, Sarah was awarded the Sydney Theatre Award for Best Female Actor in a Leading Role for an Independent Production (for Dry Land 2017, which received a total of 5 Sydney Theatre Award Nominations). Screen credits include: Doggy (dir. Troy Baird) and Amelia in Amelia (dir. Abhiram Joshi). Sarah has been a proud member of Actors Equity since 2013.